DC made a bunch of big announcements this weekend regarding their "Rebirth" initiative. 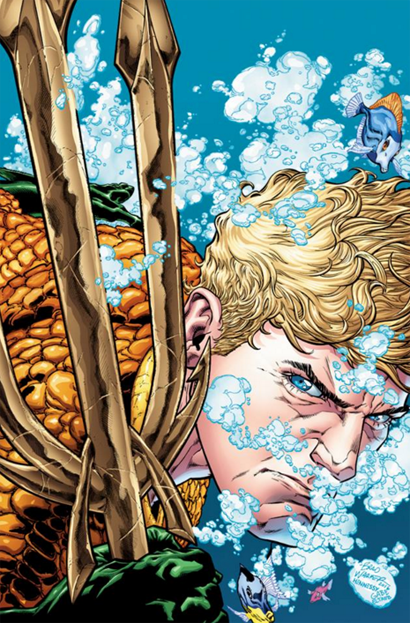 The big news for Aqua-Fans of course was the new creative team on Aquaman, which will be Dan Abnett (continuing on from his current position on the current Aquaman title), Brad Walker, and Jesus Marino. Two examples of the new old look can be seen above! Also confirmed at WonderCon to be a part of Rebirth is the return of the original Aquaman team (sans Rod Reis) for Rise of The Seven Seas. 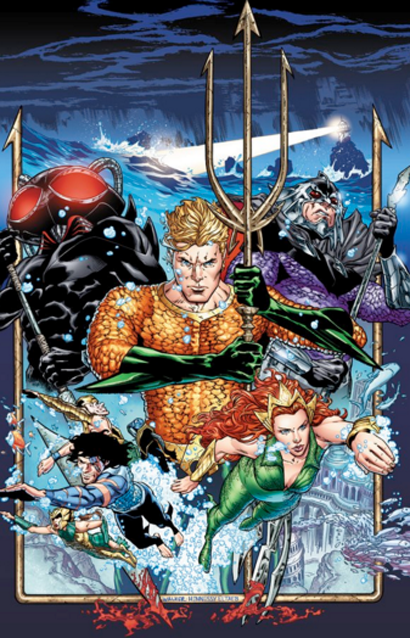 Johns & Abnett bantered about this Aquaman collaboration "on the horizon" but details of where, when & how the story will see the light of day were not specified. We've been waiting for this one forever and know from the guys that the script has been written and pages drawn but it seems like the wait will finally be over at some point in the not too distant future. I am going to continue to be optimistic. The entire Aquaman run post-52 has been fun (except for a few bad issues here or there). My only advice to the writers and editors is to create new vibrant and exciting villains (which Geoff Johns is known for hence his launch of Aquaman was so awesome). I've been reading several Justice League International (1988) issues and I really like the format. There is light humor mixed in with really crazy villains. Plus it takes me 20 minutes to read an issue. I feel like most post-52 DC Comics takes me 3 minutes-10 minutes to read an issue. I wouldn't mind to have more reading content and smaller panels instead of jumbo splash panels. Well, that sounds good so far. I just hope they'll bring back Jeff Parker eventually. He's the best writer Aquaman has had since the SAG era.